Window Sun Canopies are the ideal solution or those looking to keep your home cool and shaded as well as protecting carpets and furnishings from the harmful rays of the Sun. 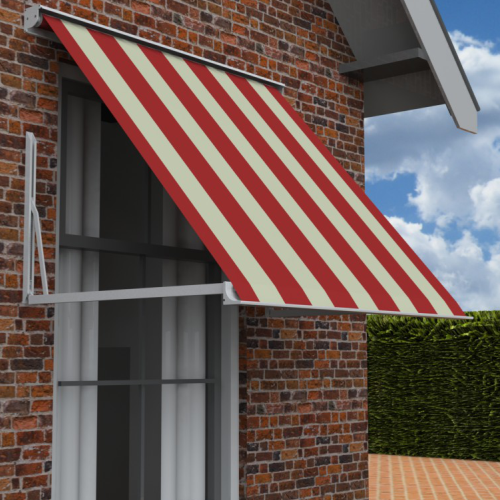 Each of our Sun Canopies are custom made and can be either manufactured with a manual or electric operation. Simple to install and simple to use. The width of the Sun Canopy is the overall size of the cassette across the wall. The projection is measured from the wall to the front bar. Our Sun Canopies can be heavy and need a solid wall to fix to. Our fixing and fitting instructions relate to those installing onto a brick wall. There are fixing methods suitable for other wall types though these would need to be sourced separately. If in any doubt, please contact us for advice before placing your order. I understand this is a bespoke product and cannot be cancelled once the manufacture has commenced I can confirm that I am installing to solid brickwork or alternatively sourcing suitable fixings for my wall type.